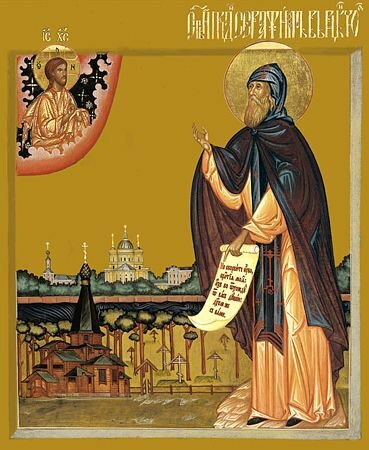 Yearning for the solitary wilderness life, the ascetic secretly left the monastery and went to the outskirts of Nerekhta. Here, at the River Gridenka, he found a suitable place for a monastery, a raised semi-island in the deep forest. The Saint asked the people around Nerekhta to establish and build a monastery in the vicinity of Sypanovo, on the Kostroma frontier. The people of Nerekhta happily consented and helped in the construction of the monastery. 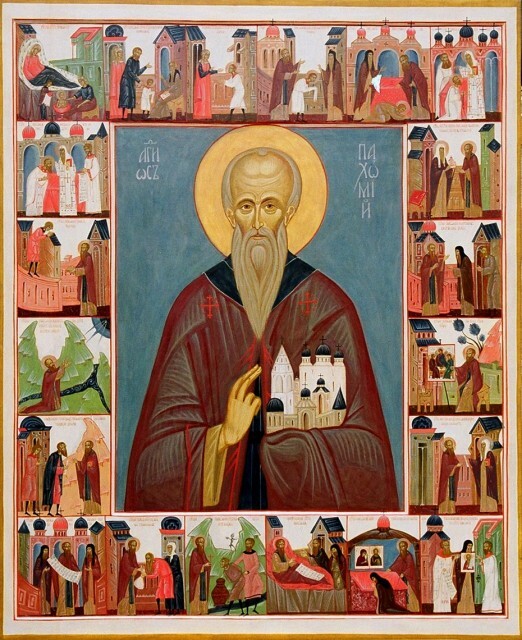 Saint Pachomius painted an icon of the Holy Trinity, and after singing a Molieben he carried it to the place where he was to build the church dedicated to the name of the Holy Trinity. After the church was completed, Saint Pachomius organized the new monastery, which soon began to attract monks. At the newly-formed monastery the monks had to cultivate the land themselves and feed themselves by the toil of their own hands. The Saint set an example for the brethren in this matter. He died in 1384, advanced in age, and he was buried in the Trinity Church he built. 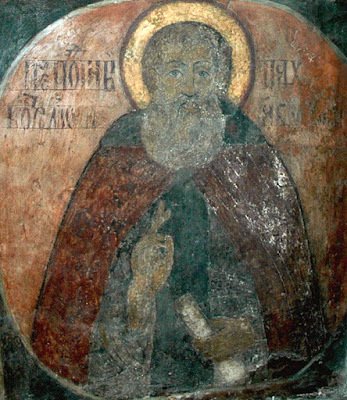 One of his disciples, Irenarchus, painted an icon of the Saint, and later a crypt was built for his holy relics. On May 6, 1675, his relics were found incorrupt, but left in a mess. Due to numerous miracles, the veneration of the Saint rapidly spread in the district. In the Trinity Cathedral a chapel was built in his name and a stone tomb over the relics. On February 17, 1993, the administration of the Kostroma region handed over the buildings of the former Pakhomiev Monastery of the Kostroma diocese. At present, the Trinity Church is fully restored and decorated, and in the monastery an additional building and almshouse have been built. 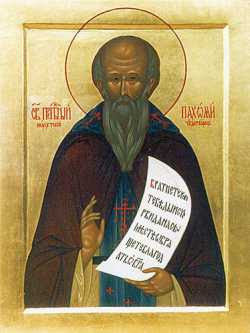 The relics of Saint Pachomius are one of the most important relics of the renovated monastery and attract numerous pilgrims. The dates of commemoration for Saint Pachomius are on May 15, his Name Day, and on March 23, the day of his repose.